#1: A bomb ripped through a military vehicle Saturday killing two Pakistani soldiers in a village in the restive northwestern tribal area bordering Afghanistan, a security official said. The remote-controlled bomb planted on a roadside hit a patrol party leading a convoy of security forces at Boya village, some 20 kilometres (12 miles) west of Miranshah, the main town of troubled North Waziristan tribal district. #2: A car bomb outside the home of a former lawmaker killed 13 and wounded 30 in Quetta, the capital of Balochistan province, said Nazir Kurd, a senior police official there. The lawmaker's son, who was the target of the attack, survived the blast, he said. The slain worked for the son, Shafiq Mangal. His father wasn't home at the time of the attack, Kurd said. #3: Pakistani gunship helicopters attacked a militant hideout near the Afghanistan border in the Razmak area of the North Waziristan tribal region, killing a militant and wounding eight others, security officials said. The death toll could not be independently verified and militants often dispute official accounts. #4: Pakistani jet fighters bombed militant hideouts in the Jogi area of northwestern Kurram tribal region near the border with Afghanistan, killing 21 militants and wounding several others, local military officials said. #5: A roadside mine killed four civilians and wounded one in Trinkot city of southern Uruzgan province on Friday, the interior ministry said in a statement. #6: Afghan forces, backed by NATO-led Coalition troops, have killed 15 armed insurgents and detained 55 other suspects in Afghanistan over the past 24 hours, Afghan Interior Ministry said on Saturday morning. "Afghan National Police (ANP), Afghan National Army and international Coalition Forces launched 18 joint operations in Kunar, Nangarhar, Kapisa, Takhar, Baghlan, Kandahar, Helmand, Wardak, Logar, Ghazni, Khost, and Herat provinces over the past 24 hours," the ministry said in a press release. Local Security officials in eastern Kapisal province on Saturday said, at least 8 militants were killed and injured following a cleanup operation in Tagab district by Afghan security forces. Tagab district security chief Gen. Shah Agha said, the operations were conducted by Afghan and NATO troops for the past three days and several regions have been cleared from the militants during the operation. According to Gen. Shah Agha, around 1,000 Afghan and NATO troops had participated in the operation. He also said, at least three militants were killed and five others were injured during the operations. The DoD is reporting a new death previously unreported by the military. Petty Officer Stacy O. Johnson died from unreported causes in in Bahrain on Monday, July 18th 2011. He is now classified as supporting Operation Enduring Freedom. NATO is reporting the death of an ISAF soldier from an IED blast in an undisclosed location in southern Afghanistan on Friday, December 30th. #2: At least two persons were killed and three others injured in a bomb blast in northwest Pakistan on Friday, officials and witnesses said. The bomb attack targeted members of the pro-government peace force in Bajaur tribal region bordering Afghanistan, they said. The explosive device was detonated through a remote control. #3: A roadside bomb killed four civilians in Afghanistan's southern province of Uruzgan today, the provincial head of the crime investigation unit said. "Four civilians were killed and one injured when their vehicle hit a Taliban-planted mine in Trinkot city this morning," said Gulab Khan. #4: Gunmen on motorcycles opened fire at a vehicle in Quetta, capital of southwestern Baluchistan province, killing police surgeon Baqir Shah, local officials said. #5: A roadside mine killed one policeman and wounded two in Spin Boldak district of southern Kandahar province on Thursday, Kandahar police chief Abdul Raziq said. The French MoD is reporting the deaths of 2 French ISAF soldiers from small arms fire/gunshot wounds by an Afghan Army soldier in the Tagab Valley, Kapisa province, Afghanistan on Friday, December 29th. The ANA soldier was also killed. #1: A roadside bomb has killed at least 10 police officers in the south-western Afghan province of Helmand, police say. Thursday's explosion destroyed a police truck as it drove through a village in Nad Ali district, officers said. The police were leaving a training centre when their vehicle was hit. The Taliban have said they carried out the attack. Some of those killed were reported to be new recruits. One other policeman was injured by the blast. #2: At least two Afghan National Police service members were injured in eastern Afghanistan. A spokesman for Afghan National Border Protection Police Forces Edris Momand said, the incident took place around 9 am local time in eastern Nangarhar province. Mr. Momand further added, the explosion took place after a police Ranger vehicle struck with a roadside bomb in Barikab area. He also said, at least two Afghan National Border Protection Police service members were injured in the incident and were taken to provincial hospital for the treatment purposes. #3: Three suspected Taliban have been killed and four detained as Afghan forces and NATO-led Coalition troops launched a series of military operations around the country, Afghan Interior Ministry said on Thursday. "Afghan National Police (ANP) in collaboration with Afghan army and NATO-led International Security Assistance Force (ISAF) troops launched three joint operations in Kandahar, Ghazni and Takhar province over the past 24 hours," the ministry said in a press release on Thursday morning. The Washington Post is reporting the deaths of three ISAF soldiers as according to the ISAF. They were killed in a roadside bombing in an undisclosed location in eastern Afghanistan on Tuesday, December 27th. #1: A district council chief and his son were shot dead late Tuesday by suspected militants in the southern Afghanistan's Helmand province, a local official said on Wednesday. "Unknown armed men opened indiscriminate fire on the vehicle of Abdul Baqi, the district council chief of Musa Qala District, late Tuesday killing Baqi and his son on the spot," a spokesman for provincial government Daud Ahmadi told Xinhua on Wednesday morning. He said Baqi was driving from district headquarters to home when the incident occurred in which his grandson was also seriously injured in the province with Lashkar Gah as its capital, some 555 km south of capital city of Kabul. #2: Afghanistan Ministry of Defense officials following a press release on Wednesday said, at least two militants were killed and 10 others were arrested following a military operation in eastern Ghazni province. The source further added, the militants were killed and detained in Gilan district of eastern Ghazni province in Afghan National Army operation. #3: Unknown gunmen assassinated chief of the development council for Nawzad district of southern Helmand province. According to local officials, Abdul Baqi chief of the Nawzad development was killed along with his son and grandson on Tuesday evening while he was on his way to his home. Provincial governor media office officials said, Abdul Baqi and his son was killed on the spot while his grandson died of his wounds in Shorabak military hospital. #1: Afghan forces, backed by NATO-led Coalition troops, have killed six insurgents in a series of military operations around the country over the past 24 hours, the Afghan Interior Ministry said on Tuesday morning. "During the past 24 hours, Afghan National Police (ANP), Afghan National Army and Coalition Forces launched seven joint and independent operations in the Kabul, Nangarhar, Logar, Khost, Paktia and Farah provinces," the ministry said in a press release. "As a result of these operations, six armed insurgents were killed and one other was arrested by the ANP," it said. #2: A NATO-led International Security Assistance Force (ISAF) airstrike in Ghanikhil district of eastern Nangarhar province killed four insurgents while they were planting a roadside mine on Sunday, Massom Khan Hashimi a senior police detective for Nangarhar province said. #3: Four militants were killed in an air raid in the eastern Afghanistan's Nangarhar province Sunday night, a local official said Monday. "Four militants were planting an Improvised Explosive Device ( IED) along a road in Ghani Khil district of Nangarhar province overnight but based on accurate intelligence reports, an aircraft of NATO-led Coalition forces carried out an airstrike killing all militants on the spot," district administration chief Hajji Zualmi told Xinhua. #4: According to local authorities in eastern Afghanistan, a drone belonging to NATO-led International Security Assistance Force on Tuesday made an emergency landing in eastern Paktia province. Paktia provincial governor spokesman Rohullah Samoon confirming the incident said, the emergency landing of the NATO drone took place in Ahmadabad district of eastern Paktia province early Tuesday morning. NATO-led International Security Assistance Force officials also confirmed the incident. Taliban militants group fighting the Afghan government and International coalition forces immediately claimed responsibility behind the incident and said that their fighters are behind the NATO drone crash. The British MoD is reporting the death of a British ISAF soldier at the Queen Elizabeth Hospital in Birmingham, U.K. on Friday, December 23rd. The soldier was wounded in a roadside bombing somewhere south of Kabul, Afghanistan on Thursday, December 21st. NATO is reporting the death of an ISAF soldier from an insurgent attack in an undisclosed location in eastern Afghanistan on Sunday, December 25th. Suicide Attack Kills 7 in Baghdad - A suicide bomber set off a car bomb at a checkpoint leading to the Iraqi Interior Ministry, killing seven people and injuring 32 others, officials said. #1: A GUNMAN wearing an Afghan army uniform has opened fire on coalition troops in western Afghanistan. An official said several NATO troops were wounded in the shooting and the gunman was killed. NATO and Afghan authorities were investigating the attack, which took place on Saturday at an outpost in Bala Boluk district, about 700km west of Kabul, Afghan Defence Ministry spokesman General Mohammad Zahir Azimi said. A NATO statement said there were no fatalities among alliance soldiers, but an official, who asked not to be named, said several coalition troops were wounded. #2: A suicide bomber struck a funeral procession in northern Afghanistan Sunday, killing 19 people and wounding scores more. Among the dead was a member of the national parliament, Abdul Mutaleb Baik, who was said to be a former commander in the Northern Alliance. #3: According to local officials in southern Afghanistan, a Taliban commander was killed and 3 others were detained following armed clashes in southern Helmand province. Helmand provincial governor media department following a press release on Monday said, the Taliban commander was killed and his 3 other companions were detained after the Taliban militants ambushed the Afghan national police forces in Greshk district of southern Helmand province on Saturday. The source further added, Afghan national police forces were backed by the Afghan national army soldiers during the clashes and there were no reports of the Afghan security forces casualties. #4: In a separate operation by NATO-led coalition forces, at least two militants were killed and two others were injured in Sangin district of southern Helmand province. Afghan soldier in a gunfight with U.S. troops in Bola Boluk, Farah province, southwest Afghanistan on Christmas eve. The Afghan is killed and there are U.S. soldiers injured, but in line with policy, ISAF has not commented on non-fatal casualties. Suicide bomb attack on a funeral in Taluqan, Takhar province kills 10 people including Abdul Mutalib, a member of parliament, and injures 39. The hospital says it has received 12 bodies, and other accounts report even higher totals. Security responsibility in Takhar is currently being transferred to the Afghan government. A member of the Royal Air Force dies in the UK of injuries suffered in a bombing on Thursday. The MoD has not yet released any information about his identity. A NATO helicopter is shot down by small arms fire in Helmand, but there are no injuries reported. Fighting is reported overnight in Baghlan province, as foreign troops attacked militants in militants in the Chayabiha area. Hamid Karzai says he will not sign a strategic partnership agreement with NATO until night time raids and house searches stop. The agreement, currently being negotiated, will govern relations between Afghanistan and U.S. troops after the scheduled withdrawal of foreign combat troops in 2014. "Arbitrary operations and home searches have been a serious problem between Nato and Afghanistan for several years," Karzai said in a statement. "This has been one of the main obstacles for signing the Afghanistan-US strategic partnership pact." Afghan Airlines fears it will not survive a government decision to allow foreign competition. Three people killed, 12 injured in a suicide bomb attack on a checkpoint in Dujail, Salah al Din Province. Former Saddam Hussein regime official Tariq Aziz, currently on death row, has been barred from calling his family, a privilege he was formerly granted when in U.S. custody. His family has complained about this today because he is a Christian. Iranian armed forces chief of staff Hassan Firouzabadi says Iran is prepared to expand its military and security ties with Iraq now that U.S. forces have departed. He adds, "I hope the humiliating failure of the United States after nine years of occupying Iraq will serve as a lesson for them to never think of attacking another country." Tareq Hashemi, currently in exile in Kurdistan, calls the charges against him a plot to destroy PM Maliki's opponents, that threatens to reignite the sectarian civil war of 2005-2007. I find it particularly noteworthy that Jalal Talibani, who is the titular president of Iraq, is personally harboring Hashemi at his guest house in Sulaimaniya. Make of it what you will. This is a bit complicated, but Iraq refuses to allow trucks carrying cargo from Jordan to Turkey to cross its territory, essentially as a gesture of solidarity with the Syrian regime. Traffic ordinarily transits Syria, but both Jordan and Turkey want to go through Iraq instead as part of the effort to isolate Syria, which reaps some economic benefit from the traffic. Malki's tilt toward the Assad regime angers the Sunni Arab population and further contributes to the sectarian tension. What is happening on the ground in Iraq looks like a return to the dark years of sectarian war, for which the American invasion is largely to blame. Turkey should pay much more attention to Iraq. It is with some chutzpah that a New York Times editorial advised the Obama administration that “regional allies like Turkey and Saudi Arabia must be enlisted to help send an unmistakable message to Iraqi political leaders that political turmoil or the disintegration of Iraq into sectarian fiefdoms would be disastrous for the country and its neighbors.” As if such a message would change anything! The DoD is reporting a new death previously unreported by the military. Spc. Mikayla A. Bragg died from unreported causes in Khowst province, Afghanistan on Wednesday, December 21st. News reports that she died of gunshot wounds. #1: A suicide car bomb attack in northwest Pakistan killed six soldiers and wounded about a dozen others on Saturday, police said. The attack took place in Bannu city where the bomber targeted the camp office of the paramilitary Frontier Corps troops, who are deployed in militant-infested North Waziristan, which borders Afghanistan. "The bomber drove his explosives-packed vehicle into the FC building," local police official Muhammad Shafiq told AFP. #2: Officials in ministry of interior affairs of Afghanistan on Saturday following a press release said, at least four militants were killed in southern Kandahar province. The source further added, The operations were conducted by Afghan national police forces in conjunction with the other Afghan security forces and NATO-led coalition forces at Arghandab district of southern Kandahar province. The statement also said, at least two other militants were detained during the military operations. #3: One soldier and four militants were killed in a skirmish between Pakistani forces and militants in the northwestern Kurram tribal region near the border with Afghanistan, security officials said. There was no independent confirmation of the incident and militants often dispute official accounts. #4: Pakistani fighter jets bombed three militant hideouts in the northwestern Orakzai tribal region, killing 10 militants and wounding another 12, security officials said. #5: Militants attacked a paramilitary base in the early hours of Friday in the Mulazai area of the northwestern Tank district, killing a soldier and wounding two, security officials said. A senior police official in the area said 15 soldiers had gone missing during the attack. A faction of the Pakistani Taliban claimed responsibility for the violence, and said the 15 missing soldiers were in its custody. Two rockets hit Liberty Base in Kirkuk -- General Sarhad Qadir told Aswat al-Iraq that the two rockets were shot from south west Kirkuk to hit the present Iraqi military base, following US forces withdrawal. #1: Militants attacked a paramilitary base in the early hours of Friday in the Mulazai area of the northwestern Tank district, killing a soldier and wounding two, security officials said. #2: (12/22) One armed insurgent was killed and 28 others arrested in a joint operation of the Afghan National Police, Afghan National Army, National Directorate of Security and coalition forces in areas surrounding Laghman, Loghar and Kabul provinces during the past 24 hours, the interior ministry said in a statement. #3: Unknown armed men in southern Helmand province on Thursday assassinated a member of the Helmand provincial municipal council. According to local officials, the incident took place in Lashkargah city of southern Helmand province. The gunmen managed the flee the area after assassinating the provincial municipal council. NATO is reporting the death of an ISAF soldier from an IED blast in an undisclosed location in eastern Afghanistan on Thursday, December 22nd. #2: Car bomb in Karrada district killed at least 18 and wounded 44 others. #1: A roadside bomb went off near a crowd of Sunni Sahwa members, and wounded three fighters in the town of Jurf al-Sakhar, 60 km (40 miles) south of Baghdad, police said. #1: Gunmen attacked a Sunni Sahwa checkpoint and wounded two of its members in the town of Mussayab, 60 km (40 miles) south of Baghdad, police said. #1: A sticky bomb attached to a car carrying a leader of the government-backed Sunni Sahwa militia killed him when it went off in Abu Ghraib on the western outskirts of Baghdad, police said. 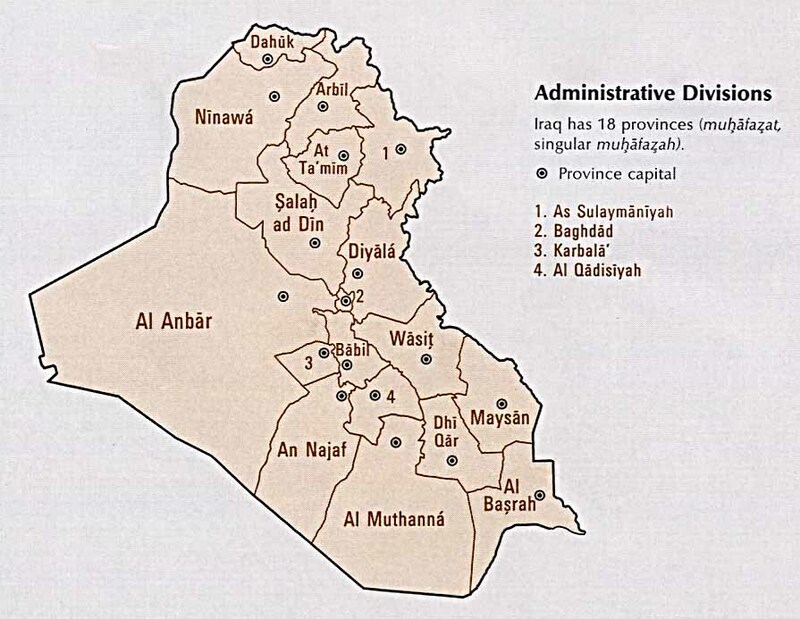 #1: A family of five - parents, their two daughters and a son - were gunned down by insurgents in a suburb of the Diyala provincial capital Baquba, north of the capital, early on Thursday, medical and security officials said. The father and son were both members of the anti-Qaeda Sunni tribal militia known as the Sahwa which sided with the US military from late-2006, helping turn the tide of the insurgency. #2: A gunman carrying a silenced weapon opened fire at a local mayor and wounded him in a market in the city of Baquba, 65 km (40 miles) northeast of Baghdad, police said. #1: Two sticky bombs attached to two cars carrying a judge and his son killed the judge and his guard and wounded his son and two pedestrians in the city of Kirkuk, 250 km (155 miles) north of Baghdad, police said. #1: A suicide bomber was killed by Afghan National Police in Khost province on Wednesday, the interior ministry said in a statement. #2: Four armed insurgents were killed in a police operation in Helmand province late on Tuesday, the provincial governor's office said in a statement. One civilian was killed by a homemade mine in the same district, it added. #1: Afghan police say they shot dead a would-be suicide bomber before he was able to attack a police station in an eastern province. Youqib Khan, deputy police chief in Khost province, says policemen on Wednesday identified the would-be bomber in front of a bank next to the police station in Khost city and killed him before he could detonate his explosives vest. No one except the would-be bomber was killed, but Khan says a security guard at the bank was wounded. #2: According to local authorities in southern Afghanistan, at least four Taliban militants were killed in southern Helmand province. Provincial governor spokesman Mohammad Daud Ahmadi confirming the report said, the Taliban militants were killed following an ambush by Afghan police forces in Adam Khan district of southern Helmand province on Tuesday. He also said, Afghan police forces did not suffer any casualty during the clashes with the Taliban militants. #4: Taliban militants claim that they have shot down a US chopper operated by NATO in Afghanistan’s south. According to a spokesman for the militants, the US helicopter was brought down in Zabul Province when it was trying to rescue crew members of another helicopter that had crashed nearby.The militants also say that a number of US soldiers have also been killed in the incidents. The report was yet to be confirmed by Afghan or US officials. Official: Pakistan sees lull in US drone strikes - The CIA has stopped firing missiles at militants in Pakistan since last month's deadly NATO airstrikes along the Afghan border so as not to "aggravate" already strained ties with Islamabad, the chief of Pakistan's senate defense committee said Tuesday. The 33-day pause is the longest since the program began in 2004, according to the Long War Journal, a website that tracks the strikes. #1: Afghan security forces and foreign troops killed two insurgents and detained nine during operations in Laghman, Kandahar, Helmand and Ghazni provinces over the past 24 hours, the interior ministry said in a statement. Over and out: Soldiers cheer as America closes the gates on Iraq -- The last American soldiers rolled out of Iraq yesterday, bringing a formal end to a bitterly divisive war that has raged for nearly nine years. #1: At least 17 terrorists have been reported killed in an air assault on their secret hideouts in Orakzai Agency, the media reported on Sunday. According to reports, the security agencies launched a robust attack with jet fighters on their hideouts in Jawaki and Samaa areas of Orakzai Agency on Sunday afternoon. Three secret hideouts were demolished and 17 terrorists killed in Sunday's lethal air assault of the security agencies. #2: Two militants wearing suicide vests opened fire on a bus carrying Afghan army training officers, killing five and wounding nine, the Defence Ministry said. The attackers opened fire on a bus carrying the officers on the main road from Kabul to the eastern city of Jalalabad, the site of NATO and Afghan army bases and several similar attacks. One attacker blew himself up and the other was shot by police before he could detonate his explosives, authorities said. #3: Three Afghan soldiers and two policemen were killed in an attack by at least three suicide bombers on an army recruitment centre in the northern city of Kunduz, the city's police chief said. The Defence Ministry said four bombers attacked the centre and that two had been killed and the remaining two were trapped inside. #4: An ISAF air strike killed at least three insurgents in eastern Nangarhar province as they were laying a roadside bomb overnight, ISAF said. Three civilians injured by an explosion in Talibiya, east of the city. Judge Mohammed Shaya'a is critically injured in an attack using silenced weapons in West Baghdad late Saturday. Police have made an arrest. ABC's Martha Raddatz is with the last convoy of U.S. troops to leave Iraq. Members of the 3rd Brigade, 1st Cavalry Division based in Fort Hood, Texas, crossed the border into Kuwait in the pre-dawn hours of December 18, 2011, ending the U.S. military presence in the country. Many Iraqis say they believed the U.S. invasion would bring them democracy and prosperity after years of war, economic sanctions and oppression by Saddam's security apparatus. Many say they now feel betrayed. The U.S. convoys, and the black-masked militiamen who five years ago controlled whole neighborhoods, have left the city's streets. But bombings and killings remain part of everyday life. The city is often blanketed with dust and smoke, its buildings are crumbling and streets are littered with garbage. Blast walls and razor wire erected to protect buildings from bombings still cover the capital. Iraqis worried about joblessness and insecurity must also contend with an acute water shortage and get only a few hours of electricity a day unless they have their own generators. "They (Americans) brought us a corrupted government that does not reflect what the people want. They are leaving but they left chaos behind ... and the Iraqi people are the ones who suffer," said Abbas Jaber, a government employee. Juan Cole gives an extended overview of the above developments. He says the arrest warrant for Hashemi is confirmed. Al Jazeera reports on the fears of Iraqis who worked for the U.S. Many have applied for visas to immigrate to the U.S., but few have received them as yet. Grenade attack on a police vehicle in Khost injures 2 police and 18 civilians. Abdul Baqi Raghbat, a former government official, is assassinated in Kandahar. Hamid Karzai says he is negotiating with the U.S. for a "long-term" presence. Hoo boy. NATO forces raid the house of the director of counter-narcotics in Paktia province, Dr Hafizullah. They arrest him and manage to kill one woman and injure two others in the process. No reason for the action is given. Afghan Foreign Minister Zalmai Rasoul discusses the prospect for peace talks with the Taliban. This will likely occur through a Taliban consular office in a third country (i.e., not Pakistan or Afghanistan). #1: Gunmen shot at the convoy of Major General Qassim al-Moussawi, spokesman of Baghdad security operations, and wounded one passerby in the centre of Baghdad, Moussawi said. #1: Two policemen were wounded when gunmen in a speedy car threw a hand grenade at the Iraqi Islamic Party office in the centre of Falluja, 50 km (32 miles) west of Baghdad, local police said. #1: Three Pakistani soldiers were killed on Saturday after a bomb planted on a roadside exploded in a northwestern tribal area, security officials said. The blast took place at Katasarai village in restive Kurram tribal district bordering Afghanistan where Pakistani army and paramilitary forces have launched an operation against Taliban militants. “Three security personnel including a lieutenant have embraced martyrdom and one other was wounded in an IED (improvised explosive device) blast,” a senior security official told AFP. In Pakistan's northwest tribal region bordering Afghanistan, at least 20 militants and a security personnel were killed and 25 soldiers wounded in a clash on Friday. The militants set off a roadside bomb near a Pakistani army convoy in Khanki area of Upper Orakzai close to the Afghan border. The bombing sparked the clash that killed one soldier and 20 militants, Wajid Khan, a local government official told. #2: According to local authorities in eastern Afghanistan, at least eight militants including a senior militants commander were killed following a joint military operation in eastern Kunar province. Kunar provincial governor spokesman Wasifullah Wasifi said, the military operations were launched in Suki district on Thursday evening and was completed on Friday evening. #3: NATO-led forces raided a house of a counternarcotics official in south-eastern Afghanistan, detaining the director and killing a woman, a statement said Saturday. Coalition force raided the house of a Dr Hafizullah (no first name provided), director of the counternarcotics department of Paktia province Saturday morning, detaining him along with his two sons, a statement of the provincial governor office said. The house was raided by NATO-led forces in Gardiz, the provincial capital of Paktia, at 1 am (2030 GMT Friday), it said. 'Hafizullah, along his two sons, have arrested by the combined forces.' The statement also said that a female member of the family was killed, while three other family members were wounded in the raid, conducted in Bala Da area of the city. #4: Four armed insurgents were killed during operations by the police, Afghan National Army and coalition forces in Kabul, Kunduz, Kandahar, Helmand, and Maidan Wardak provinces in the past 24 hours, the interior ministry said in a statement. Yet the "war on terror" mentality remains in full force. Obama ordered the construction and expansion of a new concentration camp at Bagram airbase in Afghanistan to house thousands of new and current inmates in the U.S. torture system. Now The New York Times has discovered that the Obama Administration has developed "the other Guantánamo, an archipelago of federal prisons that stretches across the country, hidden away on back roads" inside the United States. Hundreds of Muslim men have been imprisoned by means of the thinnest veneer of legality. . . .
Dexter Filkins called it "the forever war": a post-9/11 syndrome that drives the United States to shoot and bomb the citizens of Muslim nations without end. You can't end a forever war. What if you had to sit down and get serious about taking care of the problems faced by regular, boring, American people? And so Obama is having his ambassador to Afghanistan, Ryan Crocker, release trial balloons about staying past 2014…forever, in so many words. . . . The Iraq War, at least, seems to be coming to an end. According to the Pentagon, there will only be 150 U.S. troops in Iraq next year--those who guard the embassy in Baghdad. Sort of. Just shy of 10,000 "contractors"--the heavily-armed mercenaries who became known for randomly shooting civilians from attack helicopters--will remain in Iraq as "support personnel" for the State Department. 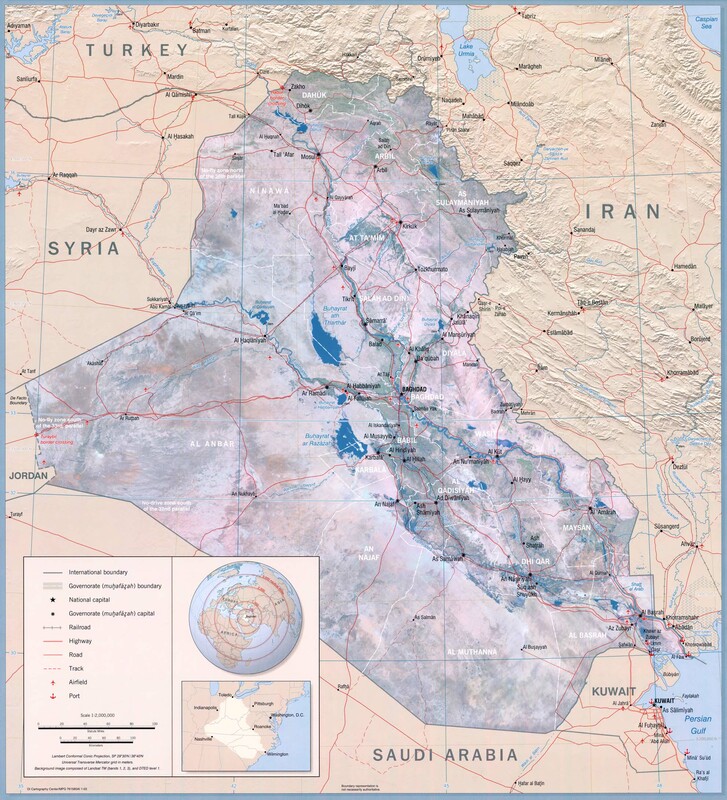 At a moment of supreme - if relative - world power, the US invaded Iraq in March 2003 to prevent Saddam Hussein from rising from the ashes of the sanctions regime of the 1990s. The US sought also to supplant a hostile Iraq with a friendly American client. 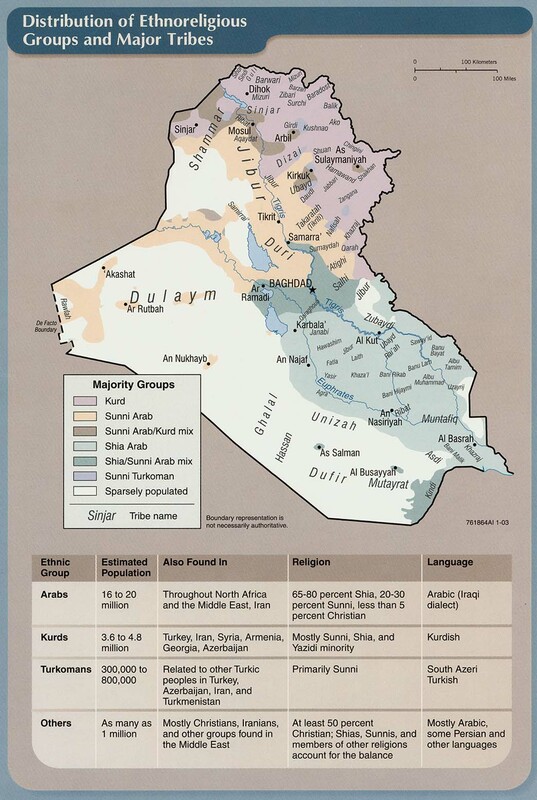 Iraq would be a base from which to exercise US influence and a replacement for the pliant Gulf monarchies, whose stability in the face of al-Qaeda was then far from assured. For political consumption, and for gullible idealists, these goals were packaged as the threat of WMD and the spread of democracy. A mere three years later, the most powerful armed forces in human history were facing defeat at the hands of a many-sided ragtag insurgency. Each pinprick attack in Iraq bled popular support from the war in the US, and made the dream of a stable, democratic Iraq seem fantastical. Meanwhile, around the world, US legitimacy lay in tatter: stained with the WMD that never were, the chains of Abu Ghraib and the blood of Fallujah. Most of all, the US' reputation as the unquestioned superpower was destroyed. The war in Iraq brought an end to the American century. War's end is difficult for families of the fallen. What if they ended a war and nobody cared? The Iraq war's last U.S. casualty. The 4,483rd, and final, combat fatality named is 23-year-old Specialist David Hickman. He was killed by a roadside bomb in Taji on November 14. The DoD is reporting a new death previously unreported by the military. Pvt. Jalfred D. Vaquerano died in Landstuhl, Germany on Tuesday, December 13th. He was wounded from small arms fire in Logar province, Afghanistan on an unreported date. #1: A teacher and his son were gravely hurt by a bomb explosion, west of Baghdad, security sources said here today. The source told Aswat al-Iraq that the explosion was done near one of main Baghdad squares. #1: The source told Aswat al-Iraq that the soldier was killed by unknown armed group east of the city, while he was on duty. #2: In another incident, a bomb exploded against a federal police patrol, south of Mosul, that led to wounding a woman and a man, who were accidentally near the explosion site. #1: Security sources in Ninewa disclosed the final toll from the twin explosions in Talafar, noting it totaled three dead and 32 wounded, most of whom are civilians. The source told Aswat al-Iraq that the twin-car explosions led to heavy casualties. #1: Police in north-eastern Afghanistan have rescued 11 fellow officers from Taliban-led insurgents and detained 30 rebels, officials said. The raid was launched Wednesday in the district of Warduj, Badakhshan province, said Abdul Maroof Rasakh, a spokesman for the district's governor. The rescued policemen were captured on December 6 in an attack claimed by the Taliban which killed at least two officers, police said. #2: According to local authorities in western Afghanistan, at least eight Afghan civilians were killed following a roadside bomb explosion in western Faraha province. Farah provincial security chief Ghulam Ghous confirming the incident said, the incident took place on late Wednesday night after a civilian vehicle struck with a roadside bomb in Parchaman district of western Farah province, killing at least eight Afghan civilians and injuring three others. DoD: Spc. Ronald H. Wildrick Jr. The DoD is reporting a new death previously unreported by the military. Sgt. Christopher L. Muniz died in an IED blast in Kunar province, Afghanistan on Sunday, December 11th. The DoD is reporting another new death previously unreported by the military. Spc. Ronald H. Wildrick Jr. died in an IED blast in Kunar province, Afghanistan on Sunday, December 11th. #1: A roadside bomb targeting a police patrol killed two police officers and wounded three policemen and two civilians near Baghdad hotel in the center of the Iraqi capital, a police source said. #1: In Iraq's eastern province of Diyala, gunmen with assault rifles shot dead a civilian outside his house near the city of Mqdadiyah, some 100 km northeast of Baghdad, a source from Diyala' s operations command anonymously told Xinhua. #2: Separately, an Iraqi soldier was wounded when a roadside bomb went off near his patrol in the town of al-Nada, some 115 km northeast of Baghdad, the source said. #1: The Iraqi Oil Ministry says production at the country's largest oil field has been cut in half by bomb attacks on domestic oil pipelines. Ministry spokesman Assem Jihad said Wednesday that pumping from southern Iraq's Rumaila field fell after Tuesday night's two explosions to 700,000 barrels per day, down from 1.4 million barrels. 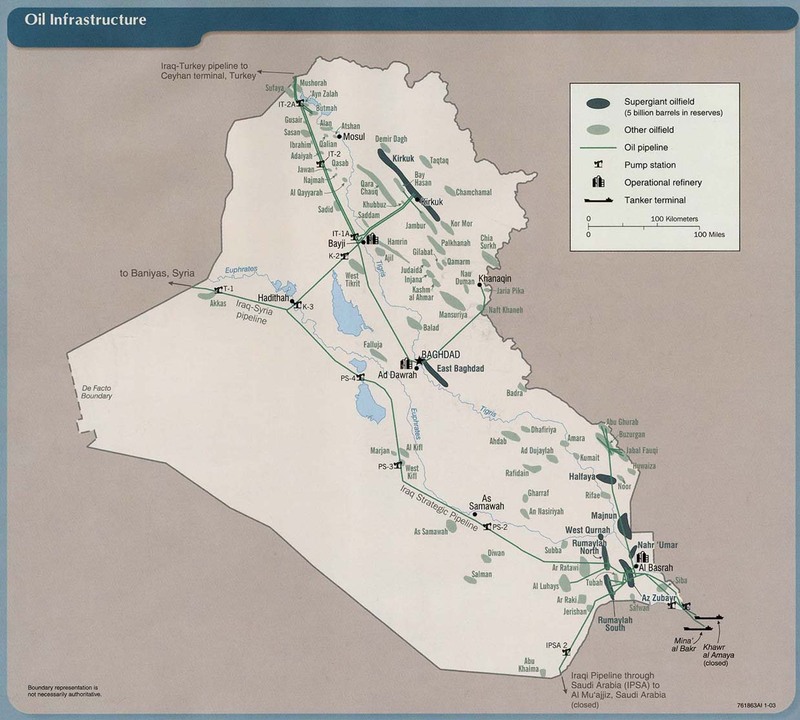 He says that Iraq's oil exports were not affected, and that the pipelines should be repaired in about a week. #1: A sticky bomb attached to a car killed two passengers and wounded three others, on the outskirts of Ishaqi town, 100 km (60 miles) north of Baghdad, police said. #1: Gunmen killed a Christian man and his wife in their car in western Mosul, 390 km (240 miles) north of Baghdad, police said. #1: A roadside bombing has killed a local government official who was prominent in battling drug smuggling and two of his bodyguards in southern Afghanistan. A spokesman for Helmand province, Daoud Ahmadi, says the Reg district chief was returning from a visit to a neighboring district when his vehicle struck the bomb. The chief, Massoud Khan, had been meeting tribal elders and other officials of the Dishu district on efforts to curb drug trafficking, Ahmadi says Wednesday's blast also wounded three other bodyguards who were traveling with Khan. #2: Afghan forces, backed by NATO-led Coalition troops, have killed three insurgents and detained 22 others in military operations launched over the last 24 hours, the country's Interior Ministry said on Wednesday morning. "During the past 24 hours, the Afghan National Police (ANP), Afghan National Army (ANA) and Coalition Forces launched 12 joint and independent operations in areas surrounding Kabul, Badakhshan, Kandahar, Helmand, Nimroz, and Khost provinces," the ministry said in a press release. #3: The NATO-led International Security Assistance Force killed three insurgents and detained four in an airstrike and land operation in Sayed Abad district of Wardak province, southwest of Kabul, on Tuesday, said Wardak police chief Abdul Qayom Baqizada. #4: A bomb blast in a video shop wounded nine people in the northwestern city of Kohat, police said. #5: Militants killed two Pakistani soldiers and wounded six in an overnight attack on a security post in the northwestern Mohmand region on the Afghan border, a paramilitary force spokesman said. #6: Gunmen attacked a Sufi shrine and shot dead two of its caretakers on the outskirts of Peshawar, police said. The DoD is reporting a new death unreported by the military. Lance Cpl. Christopher P. J. Levy died Saturday, December 10th. He was originally wounded during combat operations in Helmand province, Afghanistan on Wednesday, December 7th. News reports that he died at the Landstuhl Regional Medical Center, Landstuhl, Germany from small arms fire/gunshot wound to his head. #1: Four civilians have been seriously injured in an attack byunknown gunmen again a shop selling alcohol in central Baghdad on Monday, asecurity source reported on Tuesday. "A groupof unknown gunmen have opened fire using light-weapons on a shop, sellingalcoholic drinks in central Baghdad's Battawin district, seriously wounding 4civilians and escaping for an unknown destination," the security sourcetold Aswat al-Iraq news agency. #2: In Baghdad, gunmen assassinated two Iraqi Interior Ministry officials in two separate incidents Monday night, Baghdad police officials said. 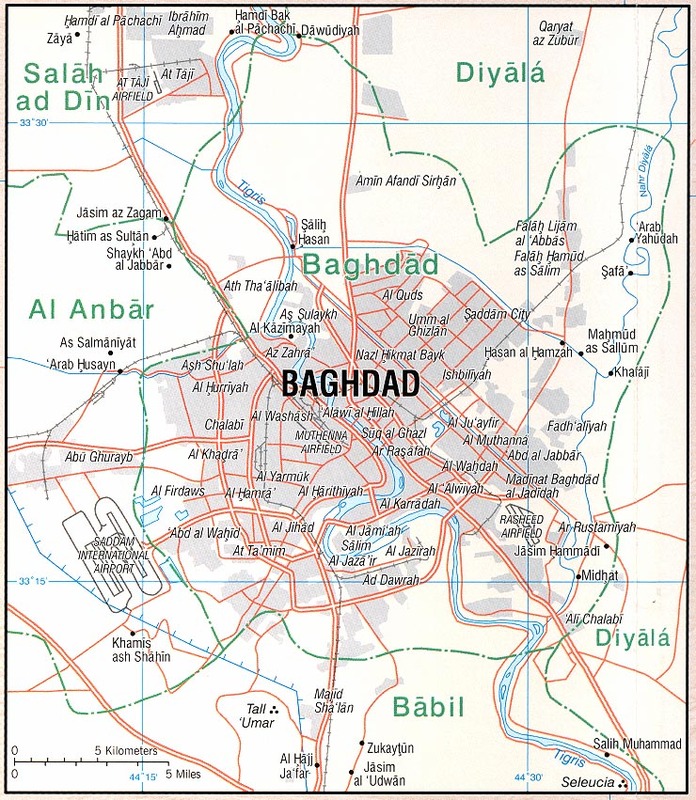 #1: An explosion at a police checkpoint in the city of Abu Ghreib, located 20 kilometres east of the capital Baghdad, killed two policemen and one civilian. Five people were also injured in the attack. #1: And another senior officer, Omar Ali, was killed overnight in the northern province of Salahadin. 'A bomb had exploded right outside his house and when the officer went out to check the situation, a second bomb placed in his car exploded, killing him,' the official told dpa. #1: In the north of the country, senior police officer Iyad Kejika was killed by unknown gunmen near his home, east of Mosul city. A bodyguard was also shot dead. #1: Gunmen using silenced weapons and a bomb attacked a minibus carrying judges near a police checkpoint, killing three people, including two policemen and one civilian. Five others were wounded, including three judges and two guards, in central Falluja, 50 km (32 miles) west of Baghdad, police said. #1: Militants opened fire on villagers Tuesday, killing at least five civilians and wounding another six in the tribal areas bordering Afghanistan, government officials said. The attack took place in the Shalobar area of Khyber, part of the semi-autonomous tribal belt where the military is fighting homegrown militants led by warlord Mangal Bagh. “Five villagers were killed and six were injured,” Sayed Ahmad Jan, a senior government official in Khyber, told AFP by telephone. “Militants came in a pick-up and fired on the villagers who were standing on the side of the road,” Jan added. An intelligence official in Khyber said villagers were helping the Frontier Corps (FC) dislodge militants, confirming that paramilitary troops had launched a search operation in the area on Tuesday. #2: Elsewhere in Shalobar, seven people, including two children and three women, were wounded when a mortar shell slammed into their home, Jan said. #3: A suicide attacker blew himself up in western Afghanistan on Tuesday after police stopped him from gaining access to an airport, a provincial governor said. The suicide bomber was killed but there were no other casualties from the failed attack at the airport in Qala-i-Naw, the provincial capital of Badghis, Dilbar Jan Arman said. 'At around 11am (2.30pm Singapore time), a suicide bomber on foot tried to enter Qala-i-Naw airport, but was stopped by police,' he said. #4: Afghan and NATO-led Coalition forces have eliminated 18 insurgents and detained 55 others during military operations in different parts of the country over the past 24 hours, the country's Interior Ministry said on Tuesday. "The Afghan National Police (ANP), Afghan National Army, NDS or intelligence agency and International Security Assistance Force ( ISAF) forces launched 12 joint operations in areas surrounding Kabul, Kunar, Nangarhar, Helmand, Khost, Uruzgan, Logar, and Ghazni provinces over the past 24 hours," the ministry said in a press release providing daily operational updates to media here. "As a result of these operations, 18 armed insurgents were killed, six wounded and 55 others were arrested," the press release said. #5: Unknown gunmen killed two civilians in the Bati Kot district of eastern Nangarhar province on Tuesday, said Ahmad Zia Abdulzai, a spokesman for the provincial governor. The Taliban claimed responsibility, saying and said they killed a policeman and his body guard. #6: Unknown gunmen killed four civilians and wounded one in Jalalabad city, Nangarhar province, on Monday, said Mahsom Khan Hashimi a senior police detective in the province. #1: Two roadside bombs went off in succession and wounded six people in Ghazaliya District, western Baghdad, police said. #2: A sticky bomb attached to a car carrying an official working at the Ministry of Education killed him in Baghdad's northern Shaab district, police said. #3: Two Iraqi civilians have been seriously injured in an explosive charge blast planted under a taxi in northeastBaghdadon Sunday, a security source reported. "An explosive charge, planted under a taxi, blew up early on Sunday, seriously wounding 2 civilians," the security source told Aswat al-Iraq news agency. #1: A sticky bomb attached to a car carrying a school teacher wounded him in the town of Muqdadiya, 80 km (50 miles) northeast of Baghdad, police said. #1: Gunmen shot at a car of a private Iraqi security company, killing one security guard and wounding one on Saturday in the town of Tuz Khurmato, 170 km (105 miles) north of Baghdad, police said. #1: Two bombs exploded in quick succession and wounded three policemen and four Kurdish Asaish security officers as they gathered after the first explosion in central Kirkuk, 250 km (155 miles) north of Baghdad, police said. #1: The Director of Justice Medication in Mosul, the center ofnorthern Iraq's Ninewa Province, has been shot dead by a group of unknowngunmen in front of his house in al-Nour district, east of the city, a Mosulsecurity source reported on Monday. "A groupof unknown gunmen have shot dead the Director of Mosul's Justice Medication,Dr. Samir a-Hamdani, while on his way home after the end of his working hourson Sunday evening," the statement stressed. #2: Police found the body of a civil servant at a state-run medicine factory shot in the head and chest two hours after he was kidnapped in Mosul, police said. #3: Gunmen in a speeding car shot dead an off duty traffic policeman in front of his house late on Sunday in eastern Mosul, 390km (240 miles) north of Baghdad, police said. #1: Afghan security forces have killed four militants in an operation in Afghanistan's eastern province of Nangarhar, a local official says. Mohammad Hassan, the provincial official, said on Monday that Afghan forces targeted the militants late on Sunday when they “were planting improvised explosive devices (IEDs)” along a road in Khogyani district to hit security forces, Xinhua reported. #2: Gunmen attacked NATO oil tankers stranded in southwest Pakistan for the second time in less than a week as Islamabad warned it could enforce its blockade of the U.S. lifeline into Afghanistan for several more weeks. The attackers shot dead a driver and destroyed seven tankers in a blaze of fire late on Dec. 11‚ the second attack in four days in Pakistan’s volatile region of Balochistan‚ rife with separatist and Taliban insurgency. #3: A total of 14 insurgents were killed and 11 others captured in three different military operations launched by Afghan and NATO-led Coalition forces over the past 24 hours, Afghan Interior Ministry said on Monday. "Afghan National Police (ANP), Afghan National Army, NDS or intelligence agency and Coalition Forces launched three joint operations in areas surrounding Kunar and Zabul provinces. Therefore 14 armed insurgents were killed and 11 other suspects were detained by joint forces," the ministry said in a press release. Three women and one man are killed in a home invasion. Two construction workers killed in armed assault on their company's headquarters. Eleven people injured in double bomb attack near a fuel station. Two civilians are injured in a bombing. That's all the info I can glean from the Kurdish site of Aswat al-Iraq; their English site is still (mysteriously) down, so only headlines are available. Iraq and Iran exchange the remains of dead from the 1980s war. You remember, the one in which the U.S. supported Iraq, including satellite intelligence and protection of Iraqi oil exports, and Donald Rumsfeld presented Saddam Hussein a gold handled cane. PM al-Maliki heads to the U.S. to discuss the future of Iraqi-U.S. relations. In the beginning, it all looked simple: topple Saddam Hussein, destroy his purported weapons of mass destruction and lay the foundation for a pro-Western government in the heart of the Arab world. Nearly 4,500 American and more than 100,000 Iraqi lives later, the objective now is simply to get out _ and leave behind a country where democracy has at least a chance, where Iran does not dominate and where conditions may not be good but "good enough." Even those modest goals may prove too ambitious after American forces leave and Iraq begins to chart its own course. 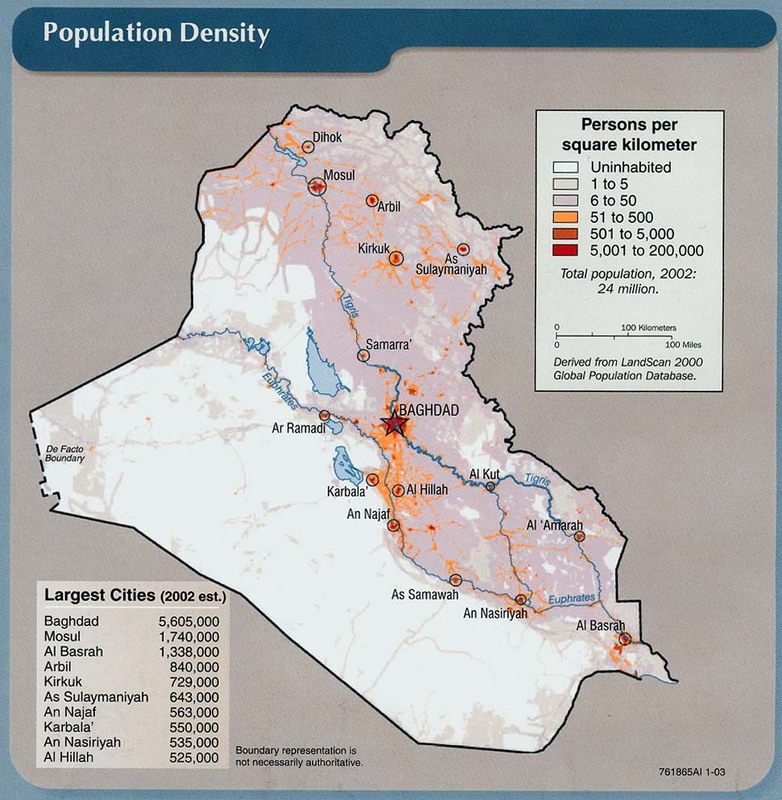 David Enders reports for McClatchy that millions of Iraqis are still internally displaced. More than half a million are squatters, who receive no government assistance. Liz Sly of WaPo discusses the problem I mentioned last week -- that the conflict in Syria is exacerbated sectarian tensions in Iraq. The Shiite-dominated government is solicitous of the Assad regime, over the objections of Sunni Arabs. Karzai says the death toll from last week's attacks on Ashura ceremonies now stands at 80. Australia is planning to accelerate the withdrawal of its forces from Afghanistan, aiming to be gone by 2013, a year ahead of the previous schedule. Karzai says foreigners are contributing to corruption in Afghanistan. (I can think of a solution for that. #1: Gunmen in a car attacked a joint government-backed Sunni militia and Iraqi police checkpoint, killing one militia member and wounding one policeman in Saydiya district of southern Baghdad, police said. #1: Three rockets landed in or near the U.S. military's Kalsu base near Iskandariya, 40 km (25 miles) south of Baghdad, wounding three people living near the base, local police said. #1: Gunmen wearing police uniforms attacked the house of a construction contractor, wounding him and his son north of Hilla, 100 km (62 miles) south of Baghdad, a local police source said. #1: Gunmen kidnapped four government employees working at an irrigation project in a farmland east of Dhuluiya, 70 km (45 miles) north of Baghdad, on Friday evening, police said. #1: A sticky bomb attached to a car carrying an employee at state-run North Oil Company killed him in eastern Kirkuk, 250 km (155 miles) north of Baghdad, police said. #2: A sticky bomb attached to a car carrying an off-duty Iraqi army officer wounded him in southeastern Kirkuk, police said. #1: Gunmen killed a taxi driver in the western part of the city of Mosul, 390 km (240 miles) north of Baghdad, a local police source said. #2: A roadside bomb wounded two policemen when it went off near their patrol in western Mosul, a local police source said. #1: Spokesman for the southern Kandahar province Zalmai Ayubi says the first explosion occurred Saturday morning in Khakrez district, when a four-wheel-drive taxi in a rural area hit a roadside bomb, killing three civilians. #2: In neighboring Maiwand district, an Afghan man was killed when his motorcycle hit a road mine Saturday morning. #3: In the north, a government transportation director was killed in an explosion midday Saturday. Police spokesman in Kunduz province Sarwar Hussini says 16 others were wounded when a remote-controlled bomb planted on a bicycle detonated as the official's car was passing. The British MoD is reporting the death of a British ISAF soldier at the Queen Elizabeth NHS Hospital in Birmingham, UK, on Thursday, December 8th. He was originally wounded in an IED attack in the Deh Adham Khan region of Nahr-e Saraj (North), Helmand province, Afghanistan on Tuesday, December 6th. #1: Gunmen killed a member of a government-backed Sunni militia in front of his house and wounded one of his guards on Thursday in the northern outskirts of Baquba, 65 km (40 miles) northeast of Baghdad, police said. #2: A roadside bomb wounded a tribal leader on Thursday in a town west of Muqdadiya, 80 km (50 miles) northeast of Baghdad, police said. #3: A sticky bomb attached to the car of a government employee at the citizenship department, killed him and his cousin, in a town west of Muqdadiya, on Thursday, police said. #1: At least 42 oil tankers and containers were torched by group of armed men on Thursday. The vehicles were carrying fuel and military hardware for NATO forces stationed in Afghanistan. The incident was happened in Kharotabad area on Airport Road, suburbs of Quetta. According to the CCPO, Ehsan Mehbob, at least 32 oil tankers and 10 containers were destroyed in the attack. According to the owner of terminal, where the trucks and containers were parked, a group of armed men appeared on motorbikes and fired two rockets hitting oil tankers. #2: Bombers killed three Pakistani soldiers Friday as firefighters battled to control an inferno at a NATO trucking terminal attacked two weeks after Pakistan shut the Afghan border to US supplies. The roadside bomb exploded alongside a vehicle carrying members of the Rangers paramilitary in Karachi, Pakistan's port city used by the United States to ship the bulk of supplies needed by 140,000 foreign troops in Afghanistan. The powerful explosion badly damaged the vehicle and wounded four other soldiers in the eastern part of the city after daybreak, officials told AFP. #3: Gunmen on motorcycles killed Zarteef Afridi, the local coordinator of the non-government Human Rights Commission of Pakistan, in the northwestern Khyber tribal region near the border with Afghanistan, local officials said. #4: Three people including a district police chief were killed and six others were injured Friday when a suicide bomber blew himself up in a mosque during Friday prayer in eastern Afghanistan's Kunar province, police said. DoD: Sgt. 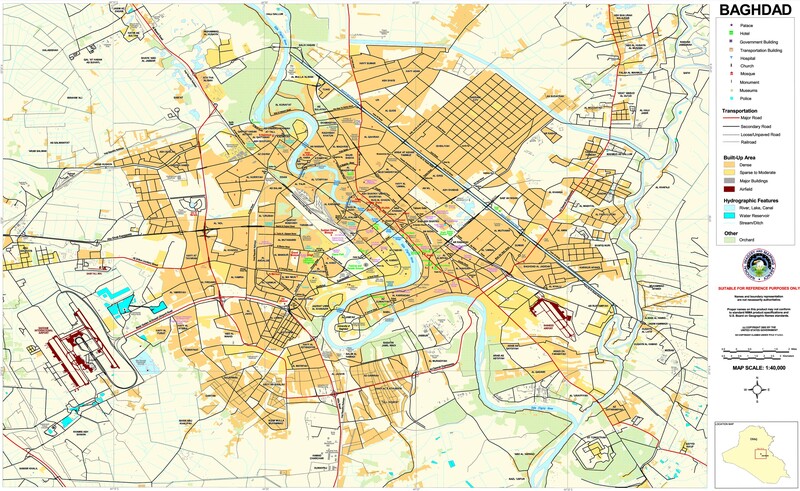 1st Class Clark A. Corley Jr.
#1: Two mortars landed at the Green Zone in war-battered Iraqi capital city of Baghdad on Thursday's dawn and casualties or damages have not been clear so far. An official of the country's interior ministry confirmed the attack, which could be heard at Xinhua office on the bank of the Tigris River. #1: An Iraqi policeman was killed and two others were wounded during a sabotage attack on powerlines in the province of Diyala, northeast of Baghdad, a government spokesman said on Wednesday. "The electricity supply of 400 megawatts from the Iranian city of Kermanshah to Diyala has been suspended as a result of a sabotage Tuesday that destroyed four towers and cut the line," said electricity ministry spokesman Mussaab al-Mudares. Mudares said the attack took place in the region of Lake Hamrin, some 50 kilometres northeast of Baquba. The collapse of the towers killed one officer and wounded two others. #1: A sticky bomb attached to a car carrying an employee at the Ministry of National Security wounded him along with two others in the town of Jurf al-Sakhar, about 60 km (40 miles)south of Baghdad, police said. Another police source said only the employee was wounded in the attack. #2: A roadside bomb went off near the house of a government-backed Sahwa militia leader, and wounded one man in the town of Jurf al-Sakhar, police said. #1: Gunmen opened fire at a car carrying an off-duty Kurdish peshmerga soldier, killing him on Tuesday in eastern Kirkuk, a local police source said. #2: A roadside bomb wounded a senior official at state-run Iraqi Railways Company, in central Kirkuk, police said. #3: A sticky bomb attached to a car carrying an employee at the North Oil Company killed him in southern Kirkuk, 250 km (155 miles) north of Baghdad, police said. #1: The source told Aswat al-Iraq that unknown gunmen killed a lawyer, called Nadhim al-Jbouri east of the city, while leaving the court premises. #2: In another incident, the police found the body of Establishment Protection Force, east of Mosul. The source said that the deseaced had many shots in his body at the head and breat, which was thrown on the side of the street. #1: Gunmen killed a police officer near his house in the city of Falluja, 50 km (32 miles) west of Baghdad, police said. #1: Two Taliban insurgents including a self-proclaimed district leader were killed in an overnight NATO air strike in Manogai district of eastern Kunar province on Wednesday, said Kunar police chief Ewaz Mohammad Nazari.